Hey guys !! How are you all. I’m writing after so many days. 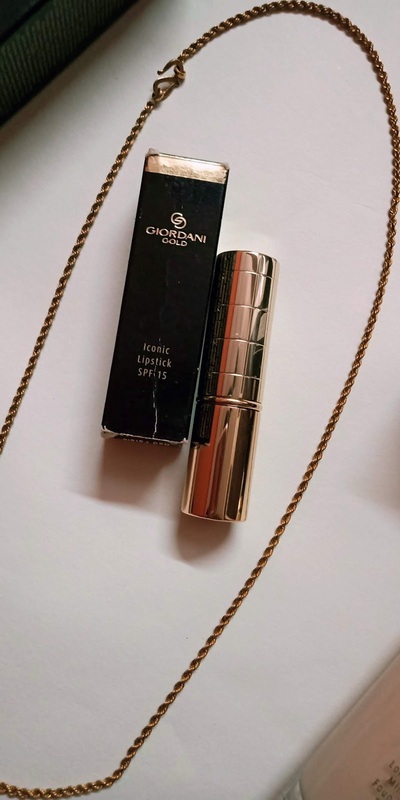 Today I’ll be talking about my experience with Oriflame’s new Giordani Gold collection. This collection is pretty expensive. I recently added three products from this collection in my makeup kit. Let’s talk about the primer first. 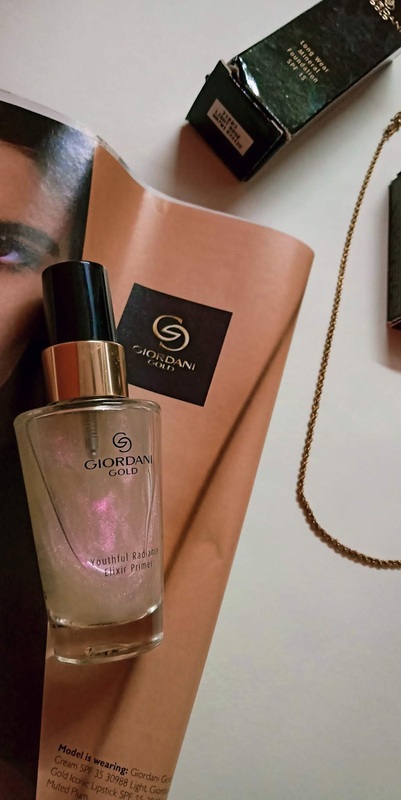 Oriflame Giordani Gold Youthful Radiance Elixir Primer is like a serum perfecting serum with iridescent rose and gold micro pearls. It leaves the skin smooth and hydrating. 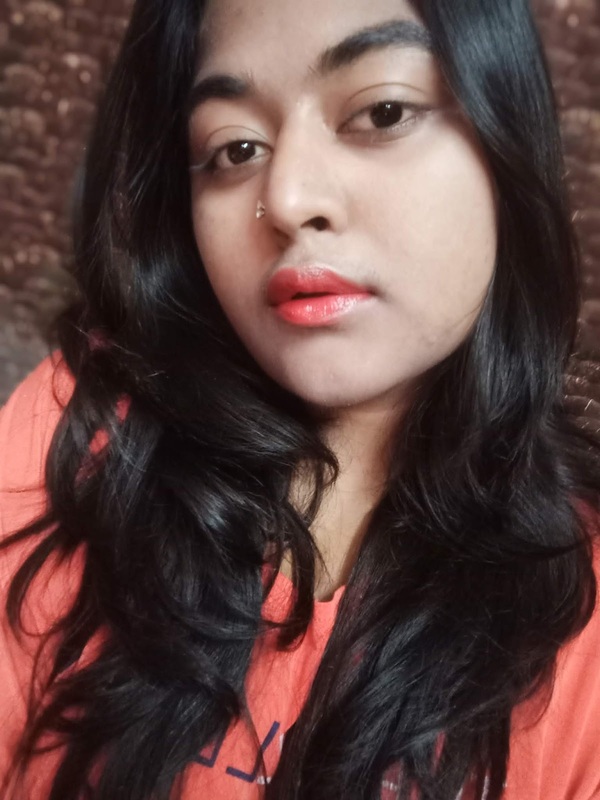 So that you can achieve flawless makeup. I love it’s texture which is shiny and silky. It costs me Rs 999. I was always very anti – foundation because if it doesn’t blend well it looks so fake or cake makeup you can say. I’m not a pro. But i really love this foundation as it comes with a no-sweat formula which is super easy to use, even for a novice like me. I just have to apply it like I would apply a face cream and it blends like magic. It consists of ‘Italian Volcanic Minerals’ . The foundation also comes with SPF 15 to protect your skin from the sun. Collection has some of the fabulous shades .They are creamy to apply and settle into a nice satiny finish which is wonderful. Perfect for those who love glossy lips. How ever colours are sheer too . I give this lipstick 3 out of 5. It doesn’t long last. 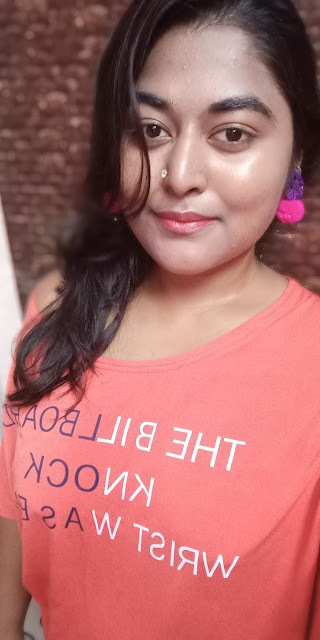 Here are my pictures where I’ve applied primer as base and foundation in the shade of natural beige as my complexion is quite dusky. The lipshade is Red fatale. 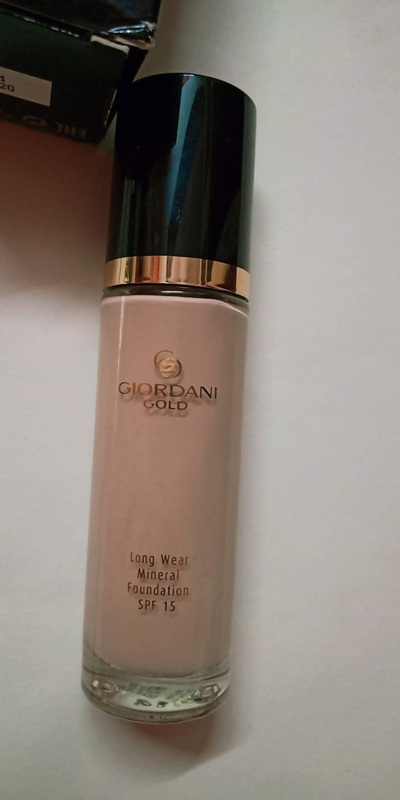 Here the link to Oriflame’s new Giordani Gold collection . 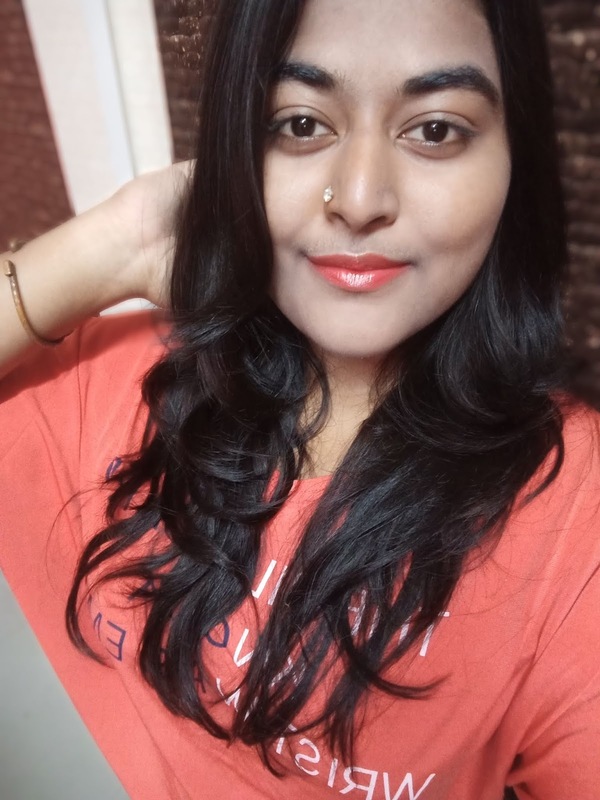 If you love this do comment and share your feedback also follow me on insta to know more. Also i’ve uploaded a short video click if you wanna watch it here . I have used some of its products. These are really good product to try. 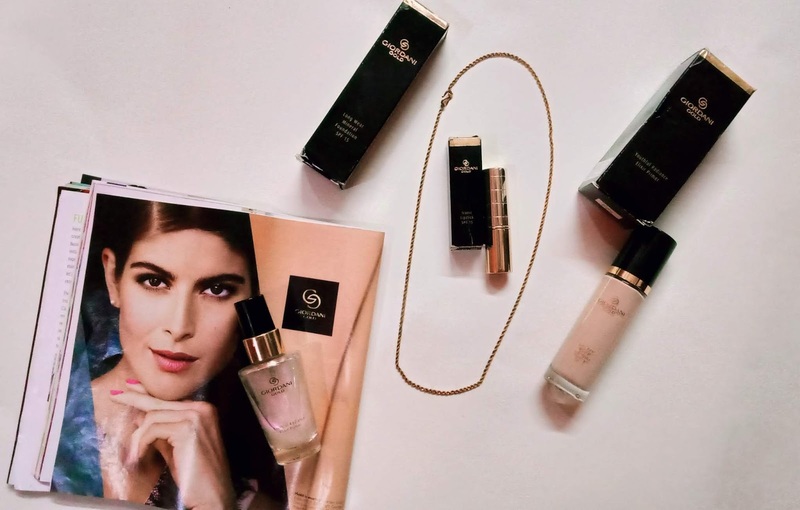 Oriflame’s products Very promising and Giordano range is my all time favourite one. I have used the Geordani range by Oriflame. All their products are good. I am going to buy their primer. I have been a great fan of oriflame and used a lot of product and I will surely try this one too . mind. I was curious to know hhow yoou center youself and clear your mind prior to writing. I havve had a tough timke clearing my mind in getting my thoughts out. Hey really love your question! It took me 1day to think about a concept. When i know what’s the concept i wanna write.. I started to think what kind of pictures i want to frame. When the picture is ready i try to write something related to the picture and it goes with the flow. I mainly start my writeup by explaining what i was doing.. or how this idea triggered my mind. That’s all. Then i write a draft do changes and post it. I don’t let me feel that I’m writing a blog. I always think that this is my virtual diary and I’m writing my heart out. 💕 If you wanna ask other questions you can get back to me on Instagram dm I’ll surely reply. Again thank you. Needed to write you that little observation to help give thanks yet again with your superb views you have provided on this website. It was so incredibly open-handed of people like you to offer easily what a lot of people could have advertised as an electronic book to earn some profit for their own end, and in particular seeing that you could have tried it if you ever wanted. These solutions likewise acted like the great way to fully grasp that someone else have the same zeal really like my own to know much more on the subject of this condition. I’m certain there are some more pleasant periods in the future for folks who look into your blog. I wanted to type a small comment to thank you for those marvelous techniques you are sharing at this website. My rather long internet search has finally been compensated with professional facts and strategies to write about with my guests. I would suppose that most of us site visitors actually are quite blessed to exist in a fine place with very many marvellous professionals with helpful tips and hints. I feel truly privileged to have come across the web page and look forward to really more exciting minutes reading here. Thank you again for everything. Thanks so much for providing individuals with remarkably remarkable possiblity to read articles and blog posts from this site. It is often very ideal and also packed with amusement for me personally and my office peers to search the blog not less than three times in one week to study the fresh tips you have. Not to mention, we are usually astounded considering the wonderful information served by you. Some 1 points on this page are unequivocally the most effective I have had. I simply wanted to say thanks yet again. I do not know the things I would’ve gone through without the entire suggestions shown by you over that subject. This has been the horrifying setting for me personally, nevertheless witnessing the specialised avenue you handled it made me to jump with joy. I’m thankful for the assistance as well as have high hopes you comprehend what a powerful job your are providing training others by way of your webpage. Probably you have never come across all of us.